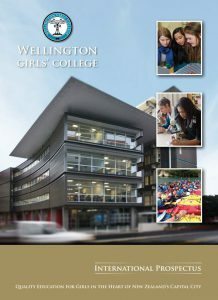 Wellington Girls’ College enrols up to 70 fee paying students each year. The school uniform is available from NZ Uniforms, 167 Thorndon Quay. Year 13 students do not wear uniform. For international students (requiring English language tuition) commencing in 2019: NZ$16,000. Some subjects have an extra material cost eg. Art, Photography. Students will be advised of this before they are placed in such a class. Many subjects have special homework books that the students write in and keep for revision. Students will be asked to pay for these. Students are encouraged to take part in sport, music and drama. They may be asked to pay some extra costs for these activities if they wish to participate. There are stationery requirements for each subject, however some items can only be purchased at school. All international students must have appropriate health insurance. 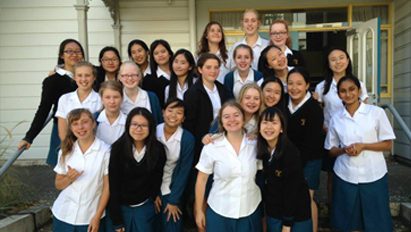 Wellington Girls’ College requires all international students to have appropriate medical and travel insurance. The policy arranged through the school has a Fees Protection provision. In the event that an existing personal policy does not give this cover the Board of Trustees of Wellington Girls’ College guarantees the fees of all International Fee-Paying Students in the event that the International Programme cannot continue.